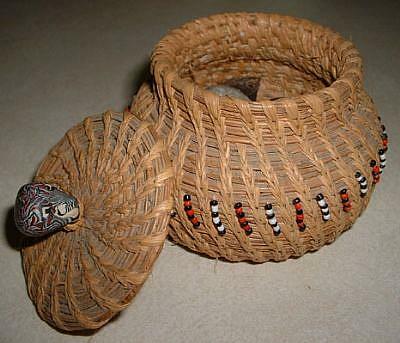 My neighbor taught me how to make pine needle baskets. I had to purchase the raffia, but the pine needles can be found outside. 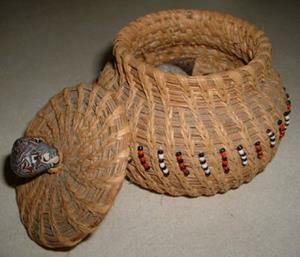 I have heard that some people can weave these so tightly that they hold water. I stitched beads on the outside of this one as decoration. And I made the knob on top of the lid out of polymer clay. 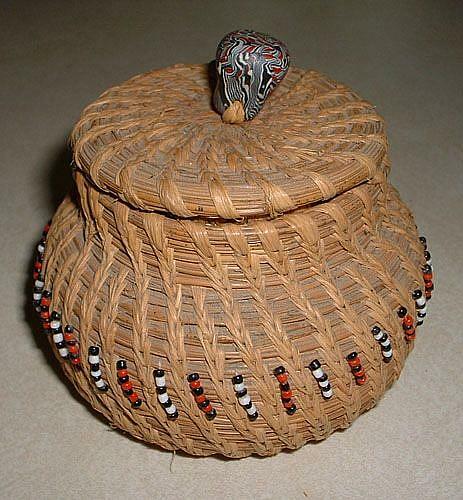 It takes many hours to complete a pine needle basket, but the result is worth it.